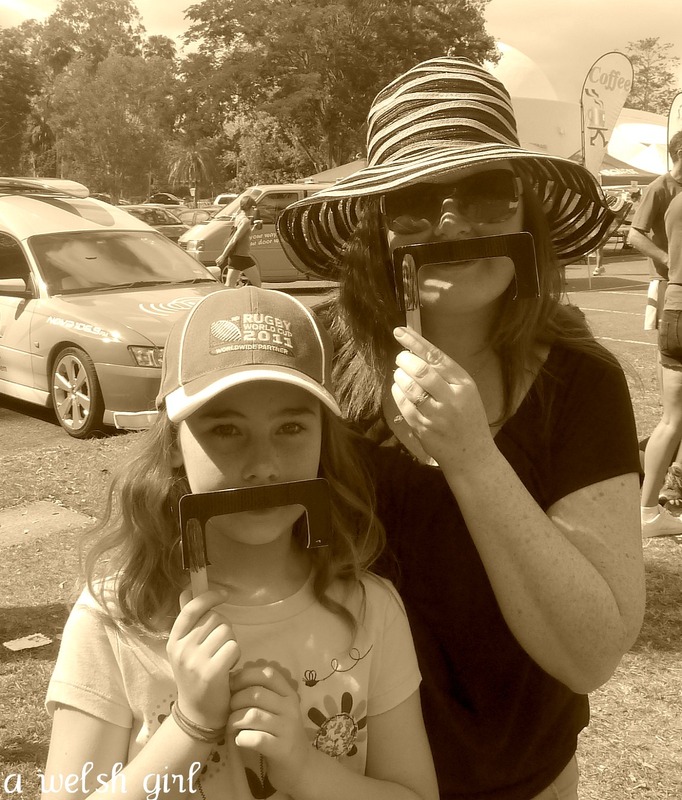 A Welsh girl in Australia: Sunday Movember running. It's hotting up over here - it was 29 degrees this morning before it even hit 9am. Spring is getting a bit of a push to make way for Summer I think. I've noticed that the gardens are starting to change and my lavender flowers are starting to die back. The huge Jacaranda tree on the way to school is shedding it's beautiful lilac petals to create the most gorgeous looking carpet across the road. 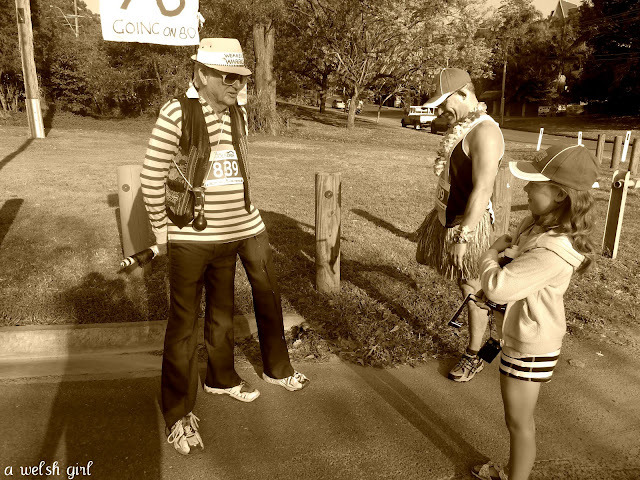 running up Mount Coot-tha for the Movemeber run. As we were waiting for them to start we spotted a Jacaranda that was holding on to its flowers. I will never get over how wonderful these trees look in bloom. Shame it only lasts a couple of months. This photo gives you an idea of the hill at the start of the race, although I don't think it looks as steep as it actually is in real life. Can you imagine starting a run uphill? 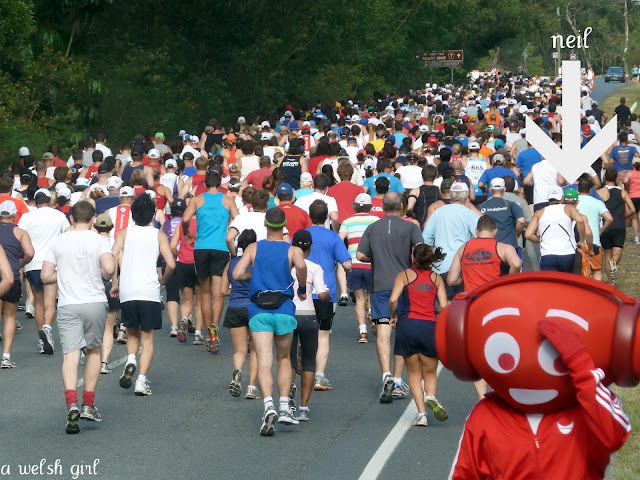 The person in red is the mascot for the radio station that was sponsoring the event and he started running with the runners, pretended to pull a muscle and came hobbling down the hill shaking his head! If you look closely Neil is in a bit of fancy dress. 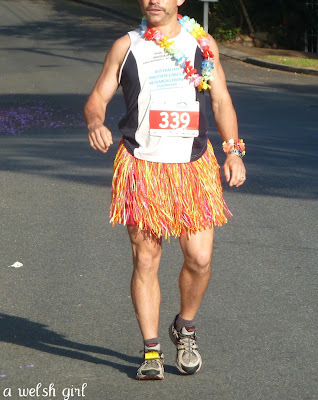 He was dressed as a fairy last year and this year decided to adopt a hula-hula theme! Here's a better shot of the grass skirt, necklace and bracelet. Neil wasn't the only one to dress up. This gentleman was taking part in the 5km event. He is 78 years old - what a hero! Of course we had to do our bit to join in - all be it from the sidelines. - all of this before breakfast on a Sunday morning! Well done Neil - proud of you. P.S. Sibs wants her hula-hula skirt back! Well done to Neil for taking part in such a tough run. Oh yes the Jacaranda trees....so beautiful. 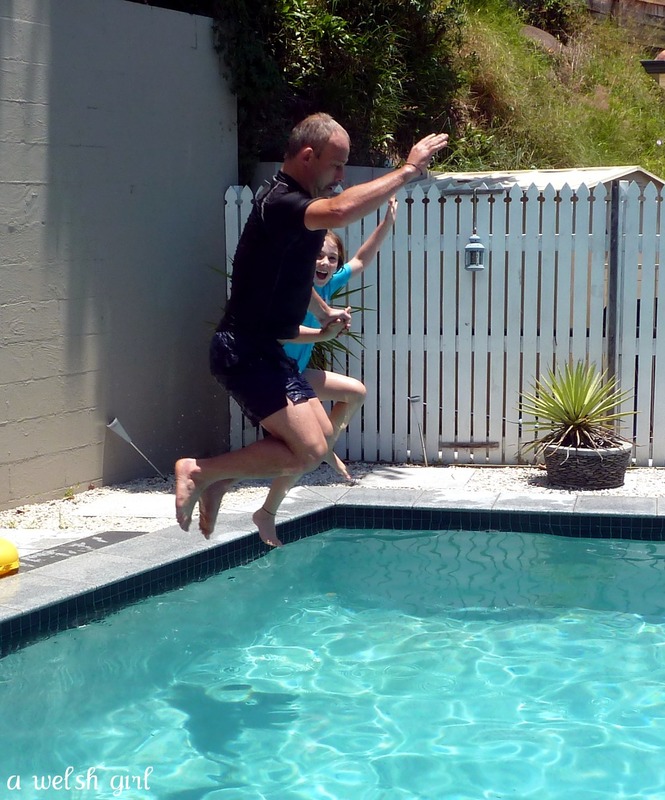 Well done Neill, that does look like a tough run, and in hot weather too! 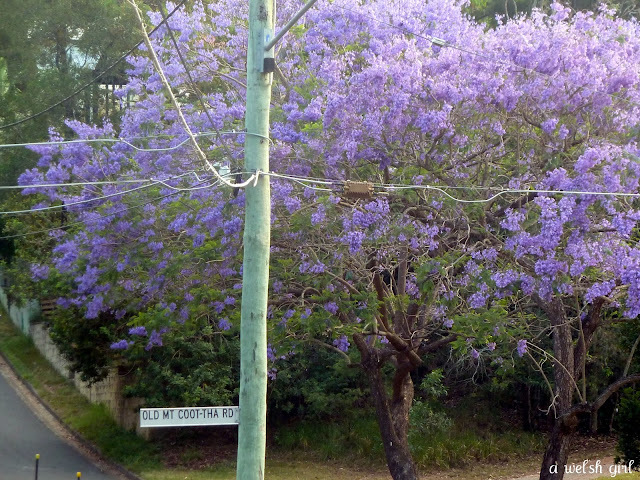 I love Jacaranda trees - remind me of LA. Well done to your husband - he looks surprisingly fetching in his hula skirt!